As if having the world at your fingertips isn’t enough, Sony have developed a way to attach it to your arm. 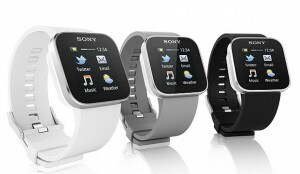 The new SmartWatch was released today by Sony – a wristwatch powered by Android software, which connects wirelessly to the internet by hooking into the user’s smartphone via Bluetooth with a 10m range of connectivity. SmartWatch features an ultra-responsive touch display, a 36mm screen and allows users to check tweets, emails, check the weather and read a map – anything as long as there is an app for it. According to Sony, mini-apps, tailored to SmartWatch devices, are already available at the Google Play online shop. The watch can also be used to check incoming calls from the smartphone, allowing users to screen their calls without even taking their phone out of their pocket. “SmartWatch provides access to live content and entertainment on the go,” said Sony Mobile Communications customer unit president Paul Hamnett, who billed it as the first in a series of gadgets to expand the smartphone’s reach. The high-tech gadget can be purchased from Sony stores and online for NZD$210. This entry was posted in Authentic, SmartWatch and tagged android, smart watch, sony. Bookmark the permalink.